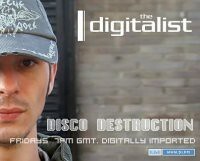 I've been listening to The Digitalist lately and am loving his funky and fresh electro beats he spins. Episode 135 wasn't particularly spectacular but worth listening to nonetheless. great post! I'll be bock for more.